Out of the biblical doctrine of the “Fatherhood” of God naturally arises the concept of prayer. What child does not need, and wish, to communicate with his father? Thus, in the “model prayer,” the Lord taught his disciples to pray: “Our Father in heaven” (Matthew 6:9). One manifestation of prayer that should flow abundantly from the heart of the Christian is the expression of gratitude. Jesus took note of the opposite disposition when he asked the haunting question: “Where are the nine?” (Luke 17:17). In this brief article we propose to discuss three “tenses” of thanksgiving. We pray because of exceeding gratitude with reference to things that have gone by already, i.e., matters that now are history. Quite obviously we likewise speak to God relative to circumstances pertaining to the present. Finally, our prayers of gratitude should focus toward the future as well. We are not without biblical precedent in these past, present, and future time modes in which our appreciation is framed. giving thanks unto the Father, who made us adequate to be partakers of the inheritance of the saints in light; who delivered us out of the power of darkness, and translated us into the kingdom of the Son of his love; in whom we have our redemption, the forgiveness of our sins (Colossians 1:12-14). This prayer format reflects backwards upon the redemptive history implemented by the holy Godhead in the interest of fallen humanity. Observe the following points. We are thankful that we have been made “adequate,” “sufficient,” or “qualified” for a grand “inheritance.” The inheritance finds its ultimate fruition in heaven (1 Peter 1:4). The sufficiency results from the vicarious death of God’s Son who, as a sinless sacrifice, offered himself on behalf of sinful humanity (see Romans 3:24-26). Our thanksgiving embraces the fact that we share a relationship with all the “saints” (separated ones) who have left the power of darkness and have been translated into the kingdom of “light”—an expression for our new “life” in Christ (2 Corinthians 4:6; Ephesians 5:8; 1 Peter 2:9). Elsewhere, that entrance into the “kingdom” is represented by the “birth” metaphor (John 3:3-5), which entails obedience to Christ’s gospel message (1 Peter 1:22-23). Are we not thankful as well for the Hand of Providence that, in such marvelously inexplicable ways, helped us discover gospel truth? Do not our hearts throb with thanksgiving for those benevolent souls who have encouraged us in difficult times? One could pray for months and not totally survey the blessings of the past for which he is so deeply grateful. The Christian’s daily life is an offering of thanksgiving to the Creator. Paul wrote: “And whatever you do, in word or in deed, do all in the name of the Lord Jesus, giving thanks to God the Father through him” (Colossians 3:17). Every day is an expression of praise to the Lord—in the thoughts of our hearts, the words of our lips, and the actions of our busy days. Our thanksgiving may be daily for those who love us, inspire us, and mean so much to us on our heavenward journey. Paul constantly engaged in prayers of thanksgiving for such ones in his life (cf. Romans 1:8; 1 Corinthians 1:4; 2 Timothy 1:3; Philemon 4). Our thanksgiving certainly must involve appreciation to the Lord, who is with us always (“all the days”—ASVfn), even to the end of the age (Matthew 28:20). The final book of the New Testament is a document dealing with the past, present, and future. It was dispatched initially to seven churches of Asia (as representatives of all of Christ’s congregations) by means of John the apostle, who had been exiled to the island of Patmos. It was from the God of “three tenses”—him who is, was, and is to come (Revelation 1:4,8). The inspired apostle was commissioned to “write,” therefore, about the things which he “saw, and the things which are, and the things which shall come to pass hereafter” (1:19). Breathtaking scenes adorn the symbolic terrain of this mysterious but thrilling book. In chapter eleven there is a depiction of twenty-four elders (perhaps an order of angels, or a representation of the redeemed), who sit before God on thrones appointed for them. They are described as falling upon their faces and worshiping God. From them issues this prayer of thanksgiving. Some wonderfully striking literary gems are contained within this prayer of gratitude. God is described as “Lord” (one possessing authority), “God” (characterized by the nature of deity), and “Almighty” (limitless in power). He is represented as him who “is” and who “was” [the “is to come” phrase (KJV) is missing from the better texts]. The reversal of tenses (with the present preceding the past) seems significant, emphasizing that the present takes precedence in the imagery. The future is depicted as the present already. The prayer speaks to the coming “time of consummation” (Morris 1980, 153), but the verbal forms (e.g., “your wrath came”) suggest that the events have transpired already. This is because of their prophetic certainty. God “has taken great power,” the perfect tense form suggests, perhaps, the permanence of the seizure (Robertson 1933, 385). The Lord has “begun his reign” (the aorist tense is viewed as “inceptive”), i.e., the reign has started (Mounce 1977, 236). The nations have raged in their angry rebellion against God (cf. Psalm 2:1), but divine anger “trumps” theirs. The “wrath” of God is not an impulsive response, in the sense that humans get “angry.” Rather, it is a way of figuratively describing the full measure of holy justice to be inflicted upon those who mock the Lord and reject his authority. The last day of earth’s history is portrayed; it is time for the dead to be judged (Revelation 20:11ff). One scholar observes: “[T]here is nothing here to suggest a thousand years’ earthly reign of Christ on a literal throne in the program” (Jones 1971, 57). The prayer expresses thanksgiving to God for the fact that the faithful (the prophets, the saints, all who fear the Lord—great and small) will receive the reward promised to them. Additionally, there will be the destruction of the wicked (i.e., everlasting separation from the Lord—cf. Matthew 7:23; 25:41; 2 Thessalonians 1:9). These are they who are in the process of “destroying” (corrupting) the earth—i.e., disregarding the design for which it was created, namely serving God. The imprecatory tone of the gratitude is not one of personal vengeance, but is an offering of appreciation for the righteous eradication of evil. We too may lift up our voices in devout thanksgiving for the glorious victory yet to be realized, and for the thrilling reward that is prepared for those who have loved Christ’s appearing (2 Timothy 4:8). 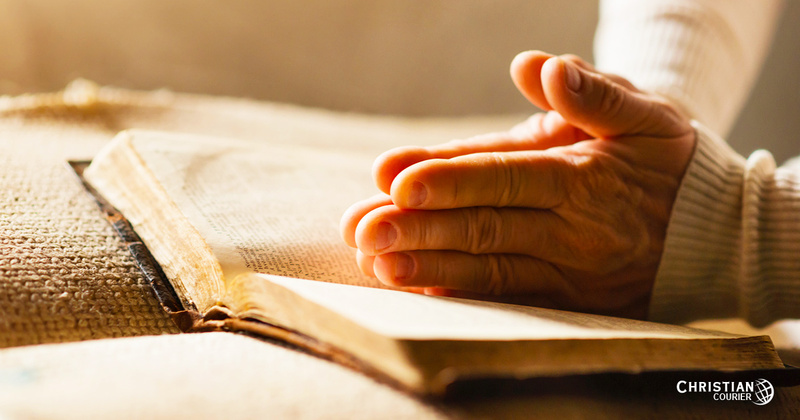 Let us, therefore, frame our prayers in all tenses—past, present, and future, and be grateful for the gift of prayer as sons and daughters of God. Jones, Russell Bradley. 1971. The Triumphant Christ and His Church – An Exposition of the Revelation. Birmingham, AL: Banner Press. Morris, Leon. 1980. The Revelation of St. John. Grand Rapids, MI: Eerdmans. Mounce, William. 1977. The Book of Revelation. Grand Rapids, MI: Eerdmans. Robertson, A.T. 1933. Word Pictures in the New Testament. Vol. 6. Nashville, TN: Broadman.